November’s Glossybox had a variety of things to try, the majority of which were from brands I haven’t heard of before – so that is always exciting. The first, which really attracted my attention, was a Gold Brightening Face Mask. I love to include masks in my skincare regime, as they tend to contain a higher concentration of active ingredients than your average moisturisers, cleansers and other products. This one has been designed to fit to your skin like a second skin and has a cooling effect. It has three key ingredients; arbutin, silk amino acids and centella asiatica. These combine to brighten and regenerate your skin while also stimulating collagen production to reduce the appearance of fine lines. It’s one of the brand’s most popular products and it’s pretty clever too. The time it takes to dry on your skin is indicative of how healthy your skin is. If it dries before the allotted twenty minutes of wearing it is up, this draws attention to the fact there are areas of your skin which need a little more attention. My skin is looking a little tired lately, so I am excited to see what this can do in terms of livening it up a little. Next up, a new eyeshadow brush from Irish brand Ruby Professional. Lately, I have got a bit more experimental with my eye makeup, stepping away from the safe shades of golds and browns that I usually favour and getting a little bit more colourful. I definitely think I have picked up a few more tips and tricks and I think part of that is learning which tools to use to get the best results. This brush is quite big and fluffy, but the bristles are still quite firm which makes it perfect to blend out your shadow and soften your look. The brush is also cruelty free, which is fantastic too. 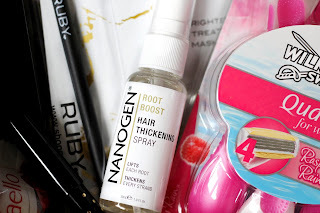 I had never heard of Nanogen products before and certainly not this spray so naturally, I did a little research. 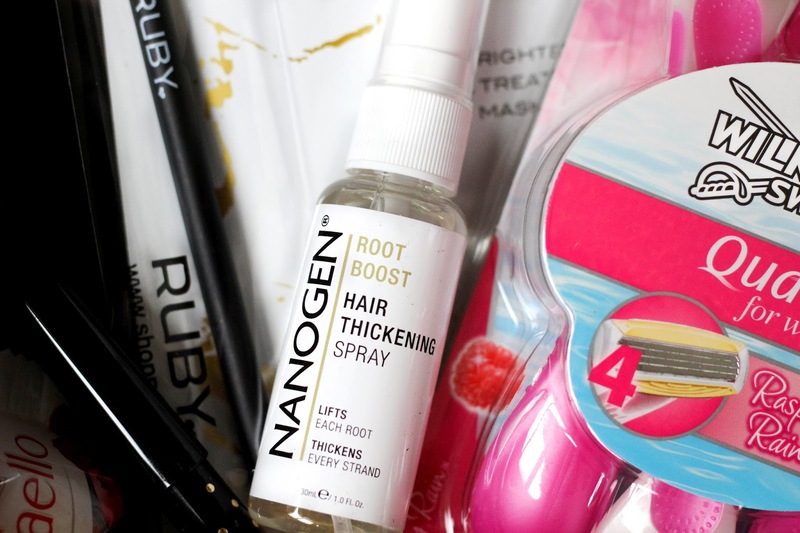 Nanogen have been producing hair thickening products for ten years, establishing themselves as a worldwide leader in hair care. They have worked with a host of A listers and people in the public eye, striving to achieve thicker and healthier hair. The spray I received is just one of the products from their range, which also includes thickening heat protection spray, shampoos and conditioners. I haven’t tried this yet, but I am intrigued to see the effect it has on my locks. I have always been lucky enough to have quite thick hair although, it has definitely thinned as I have got older. It’ll be interesting to see if this offers a little restoration. As soon as I pulled the lid off this product, I knew it would be a favourite over the next few months. This eye pencil, which comes in the colour ‘Bubble’ is a metallic grey gold shade which is great for the festive season. It has a lovely creamy formula so is really blendable and it feels so light to wear. Certainly one to try if you are looking to up the ante with your smokey eye, I am really pleased with this product. 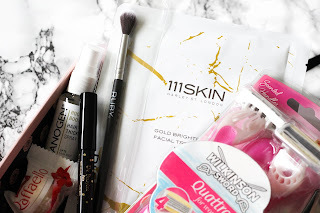 The only brand in this month’s box I’ve ever tried – and already knew I would like! A girl needs a good razor and Wilkinson Sword have long been my go-to brand. Disposable razors are definitely my preference; the price you pay for razors and blades, I just find it so much easier to go with throwaways which do just as good a job. I haven’t used these exact ones before, but I can say from experience that the Quattro razors are very good. They are high performing, giving you a close shave and super soft skin afterwards. I can’t be the only fans either, given that these are the winners of the Pure Beauty Awards 2016! Just opening the packet of these as well, you are met with the super fruity raspberry scent as the handles are specially scented. I’m ‘berry’ happy with these babies! 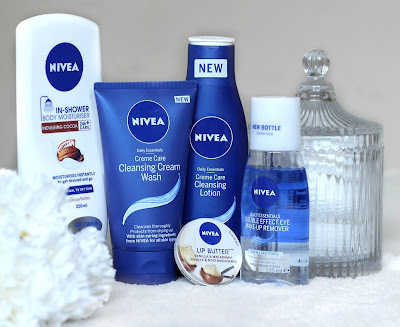 A few weeks ago, I was lucky enough to receive some wonderful products to try from the kind people at Nivea. As you may know, I was really impressed with the Nivea anti aging cream that I wrote about in a previous post, but I had limited experience of using the rest of their range. Since receiving these items, I have reworked my skincare routine and I'm excited to share this with you. I start the day with this lip butter - and then apply it repeatedly throughout the day! I’ve tried countless balms and butters but I can say categorically, I have never smelt one quite so delicious as this. The combination of vanilla and macadamia is truly delightful and invokes thoughts of freshly baked homemade treats; it really smells good enough to eat. This leads me to apply it excessively and my lips are certainly thanking me as a result. At this point of the year, I am usually conscious of the dread chapped list but that issue is definitely a thing of the past. Needless to say this, has not left my handbag. Sometimes, there really aren’t enough hours in the day so I am all about multi-tasking. I do not know how I have only just discovered this, but I can’t imagine not using it. It is just so easy and after all, you condition your hair in the shower, so why wouldn’t you condition your skin? After washing in the shower, you apply the moisturiser before rinsing it all off. I was dubious at first about whether something which spends such a small proportion of time on your skin could have much effect, but I needn't have been. This stuff certainly works and it's fantastic performance has cemented it's position as my favourite product of this bunch. I do not know why, but since as long as I can remember, I've always taken my makeup off after showering. After a long day, I can't wait to get in the door and relieve my tired eyes so eye makeup is the first thing I remove. This came into my life at exactly the right time especially given that my current micellar water, which is apparently suitable for use all over your face, leaves my eyes stinging when I attempt to wipe away the days mascara. I am pleased to say that this is far kinder – and twice as effective. I saw it advertised a lot around Halloween, when dramatic eye makeup is everyone’s staple. In just a few swipes even the darkest liners and shadows are lifted and you only actually need a couple of drops of the formula to do this. I take my makeup off and moisturise religiously, but I never seem to make quite so much time for cleansing. Naughty, I know. Lately, I have been making much more of a concerted effort to do this. Since ditching face wipes for micellar water, I've barely used anything else. I am most certainly a skincare creature of habit. When I received this product, it was immediately apparent how different it is to my beloved micellar, but after scanning the back of the bottle I was really keen to try it out. What has impressed me most about this lotion, is just how sensitive it is while at the same time, thoroughly cleansing any impurities. The consistency isn’t too runny or too thick, so it doesn't feel gloopy on your skin. I start off with a pea sized amount and wipe this all over my face. I cleanse until the cotton wool comes back clean and so, if I'm rocking slightly heavier makeup, it make take a couple of goes to remove everything. I find it so much more effective to build this up gradually in this way. I'm not sure if I use this and the lotion the wrong way round, but this way just works better for me. After taking off my makeup, I follow up with the cleansing lotion and then this wash. I usually go on to moisturise my skin although, I've found the combination of these two to be really nourishing, so my skin doesn't need it quite so much. Cleansers I have used before have left my skin feeling a little bit dry afterwards but, as I say, that is not the story with this product. This does it's job while protecting skin’s natural moisture balance and I will definitely continue to use this. Have you tried any of these Nivea products? Let me know in the comments! 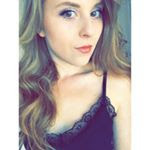 I first came across NYX products in a YouTube video from My Pale Skin Blog. A year and a half ish later and I've finally got my hands on some of their makeup bits and I can't tell you it was worth the wait. 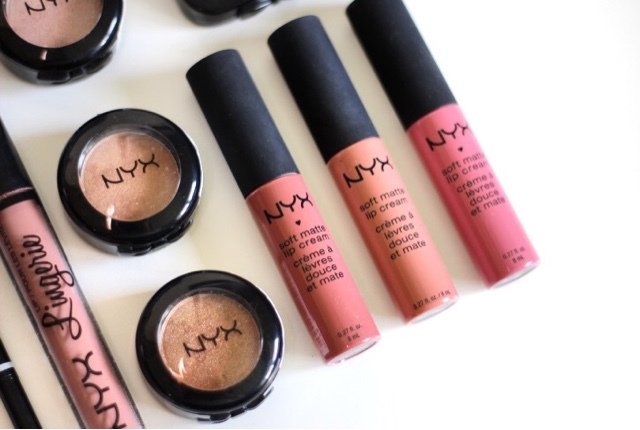 In the U.K, NYX wasn't an easy brand to get hold of. That was until Boots began stocking it. While it was possible to order online and collect in store, I really wanted to be able to try things before buying. I was completely ecstatic then, when NYX became available in their Plymouth store. I now live in Hampshire but when visiting home for my birthday in August, I grabbed my sister and we perused the aisles like kids on candy shops. After exhaustively swatching various products in a rainbow of different shades all over our hands, we ended up leaving the shop with some lovely things. Well, we'd spent enough time choosing them! I now have three of these shadows; Dayclub, Gold Lust and Sin. Dayclub is a lovely rose gold shade, Gold Lust is a rich gold and Sin a shimmery pink. I was completely drawn to the metallic hues and they are beautifully pigmented and blend really well. At only £3.50 a shadow, these are a complete bargain and I envision adding many more to my makeup collection at that fantastic price. I had seen these all over Instagram and naturally, I wanted one for myself. I now have Milan, Cannes and Stockholm and I can see what the fuss is about. These have a really creamy formula and so silky smooth to apply. When dry, these are super comfortable to wear – and I just love all of the different names. Again they are very reasonably priced, at just £5.50 each. So many different brands have brought out brow pencils in this style but I can say without doubt that this is my favourite. I previously used the Soap and Glory Archery 2 in 1, but I just prefer this one. There are 8 different shades available so it’s easy to find one that perfectly matches your brows. The brush allows you tidy brows and the thin liner then allows you to coat hairs precisely. These retail at just £7.00 and last really well. The lip lingerie lipsticks come in a range of seductive ‘colour-kissed’ nudes. I have the shade ‘Push Up’, which has a slightly pink undertone. These lipsticks have a creamy, mousse-like consistency and the flat applicator makes it far easier to to apply. The lipstick dries very quickly and settles on the lips well and is quite long lasting. These are slightly pricier than the matte lip creams, but still only £6.50. I don’t normally indulge when it comes to blushers; I don’t tend to wear all that much of it, so never tend to get through them very quickly. I have the shade ‘Hamptons’, which is quite pink. Usually, peachy tones work best for my pale skin tone, but I was pleasantly surprised by this. A little of goes a long way and it isn’t half as bright and intimidating as it appears before trying. It blends well and is easy to build up slowly. The High Definition Blush retails at £5.50. You might notice a bit of a recurring theme here, in that NYX products are incredibly well priced. 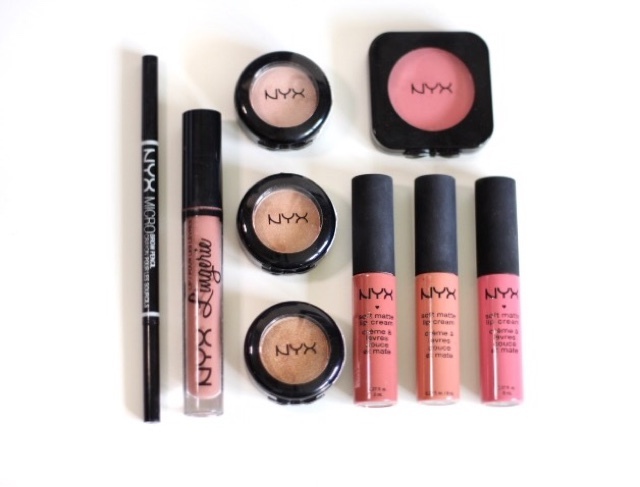 The products above are all items I have spent much more on in the past, but NYX certainly match the quality. I'm already eyeing up my next products, with a few featuring on my Christmas list!